„Some people just have it, and Austyn is a member of that elite group. Speed, power, and pop are all in great supply. Cheers to another awesome offering from Mr. Gillette.“ That’s how Thrasher Magazine is announcing Austyn Gillette’s part for his first HUF footwear pro model. Keith Hufnagel is known for giving his riders the most freedom they want when is comes to designing their pro products. We at Weartested were hyped about the fresh wind regarding the design of the HUF Dylan Rieder pro model. The same feeling came back when seeing the elegant and dress shoe-like design of the Gillette. 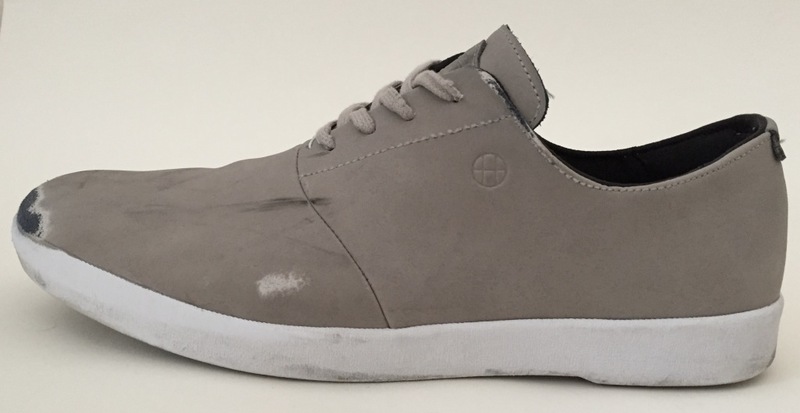 A shoe that’s fit for going out with friends, fine dinner parties, complements a suit and can be skated seems far from possible…but the HUF designers and Austyn made it happen. 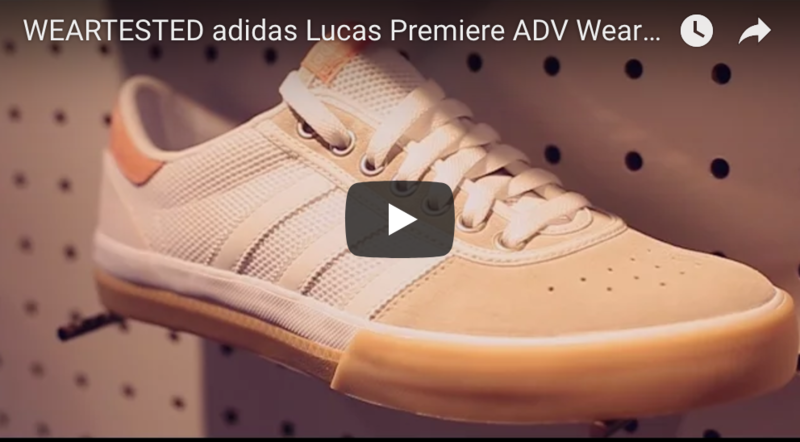 Here’s how we at Weartested broke the shoe down. Enjoy. 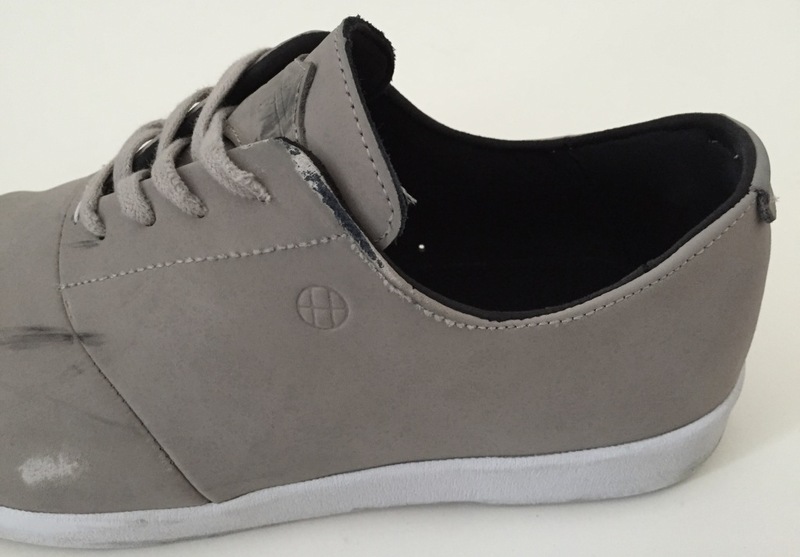 The HUF Gillette fits rather small, so we would advise you to try it on in the skateshop of your choice. The HUF Gillette is exceptionally durable. Its whole toebox and general front foot area is lacking any major seams and made of extremely durable nubuck leather. This is perfectly designed for durability since most skateboard-related signs of use can first be seen in those areas. 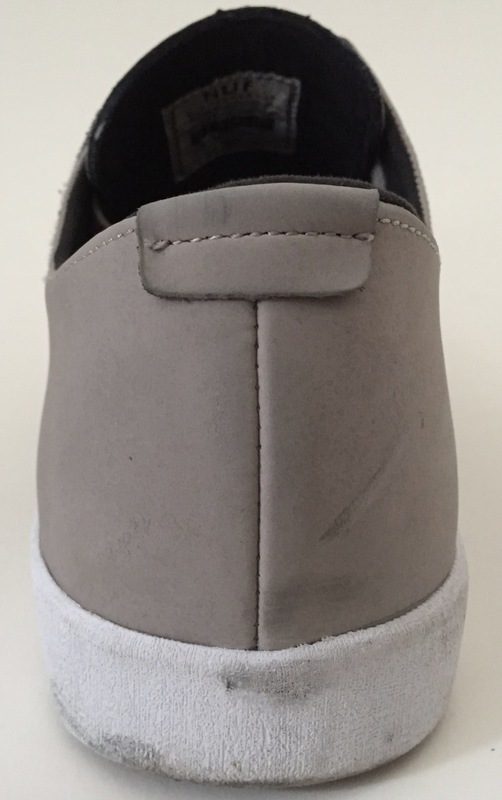 The seam which connects the toe area upper with the mid and heel section upper is sewn in the interior so there is no open seam which can be destroyed by the griptape. Since there are no critical seams around that area, ollie holes or other openings were fully prevented. Although the nubuck leather showed signs of wear, only the first layer wore down, in the case of our colorway the actual light brown area. Don’t get irritated by the black spot in the kickflip area, it developed within the first two sessions but there was no signs of a hole. The eylets for the laces are rather wide up and close to each other, which means the laces are protected pretty good as well. 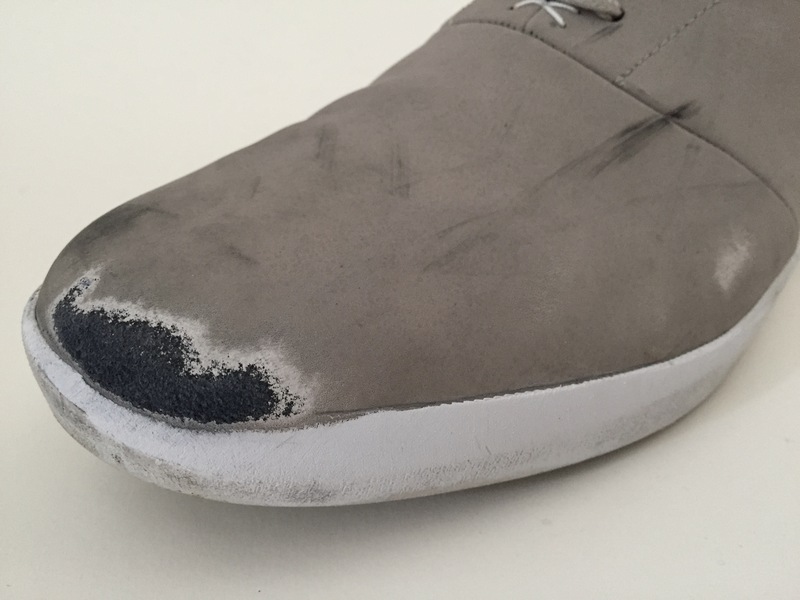 The cushioning abilities of Austyn Gillette’s pro model are below average. The profile picture clearly shows a sole that is higher in the heel and lower in the toe area. The sole itself is still too thin though, which decreases its cushioning abilities. To counter that, HUF uses a thicker molded PU insole, which improves cushioning, but still, all the 10 stair jumpers will be left without much protection. Shape is an important design element for the HUF Gillette. It is very slim and tight. In the beginning the shoe might feel a bit hard and stiff, but it gets softer after 2-3 sessions and the shoe adapts really well to the foot. The toe area is rather slim, but the model gets wider towards the mid-foot-area. The toebox itself is slim and pointy; overall, people with slimmer feet will especially enjoy this model. Since the shoe features basic cushioning qualities, boardfeel is good and above average. The sole throughout the whole toebox and frontal area is really thin, which leads to great contact with the board. Grip did not decrease throughout our 10-hr test and can be evaluated as good. Then again, the sole does not feature any special structuring or grooves to increase flex. Shape and design are more influential on flex, which decreases from toe to heel. By the way, the heel of the sole is elevated higher than the sole, but is not noticeable when skating. The Gillette leaves nothing to be desired when it comes to stability. Since it is slim cut, it fits your foot very well. With that said, this slim silhouette also has its negative points; it’s pretty easy to get blisters on your toes, depending on the shape of your foot. 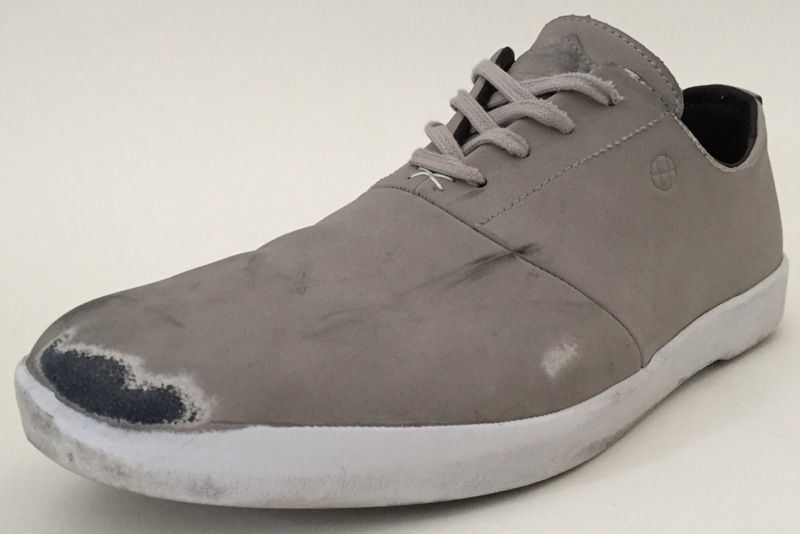 The shoe is really hard in the beginning, gets softer, but maintains its strength throughout the whole time skating since the model has been designed with stable form in mind. The heel is very hard, which adds to the support but is also very thin. This can be noticed when your board hits you in the heel area. Regarding comfort, the Gillette performs below average. The design of the shoe itself proves some disadvantages when regarding comfort. No padding in a skateshoe takes some time to get used to. The HUF Gillette features not only one of the most developed designs in the skateboard industry, it also excels when it comes down to durability, which is far beyond industry standards. Boardfeel, grip and stability are the strength’s of the shoe as well. Its below average cushioning and comfort, were some elements we were not too fond of.